Heinz Beck is widely known throughout Italy and Europe as a notable master of modern gastronomy. Expressing a unique interpretation of the modern kitchen, Beck's artistry exceeds his raw culinary talent with a well-guarded process, which includes mindfully curating ingredients and implementing innovative techniques to transform simple ingredients into highly evocative dishes. Following the success of the acclaimed La Pergola in Rome, Social by Heinz Beck is set to amplify Chef Beck's reputation within Dubai and solidify his position as an international culinary talent. Absolutely stunningly presented dishes that had our tastebuds tingling. Great table to be able to view into the kitchen. Staff were so helpful and attentive but not intrusive. 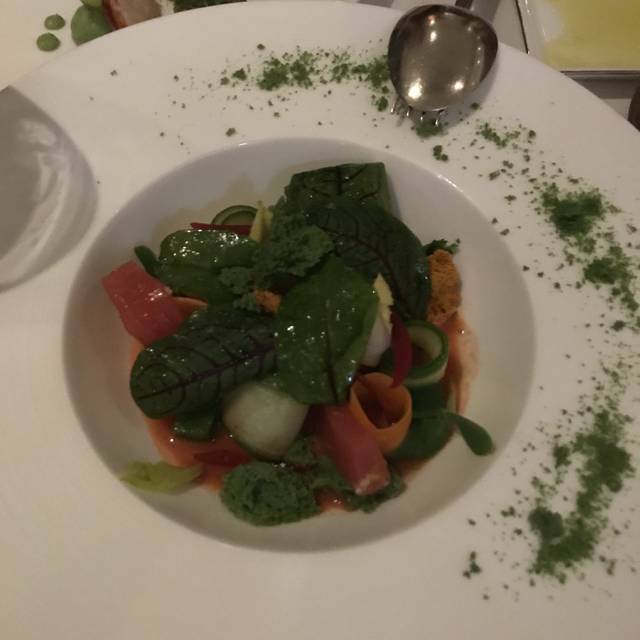 On each of the nights I received a different number of amuses, with one of the items served lukewarm on both nights and not tasting fresh: two of the spoons include blatant and poor copies of Ferran Adria’s dishes. 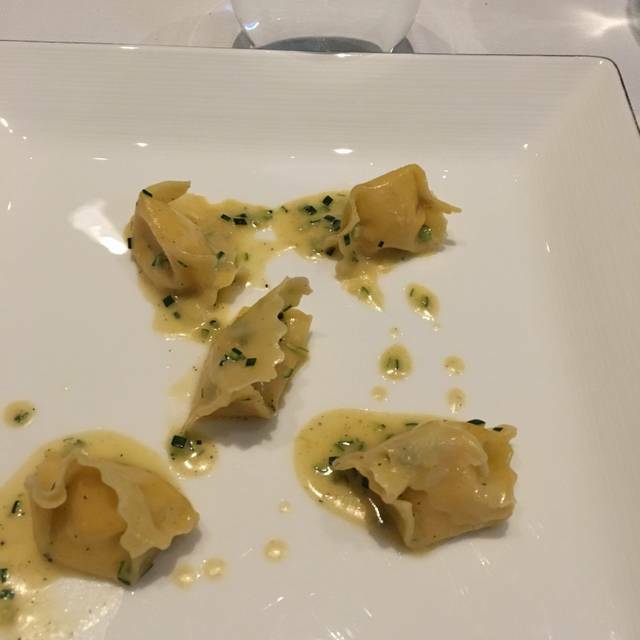 Several dishes have components that return time and time again: very a-typical for a restaurant of this standard… A “lettuce sauce” tastes more of olive oil than anything else, while the artichokes on the plate hadn’t been allowed to come to room temperature. The tartare is made of good meat but is tossed without any visible of traditional condiments (shallots, pickles, capers), seems to fail tabasco and just tastes very acidic. The accompanying small salad isn’t dressed at all and features some leaves that have brown edges. The Carbonara comes in an odd vegetarian version, without neither the Guanciale nor the diced zucchini featured in the original. 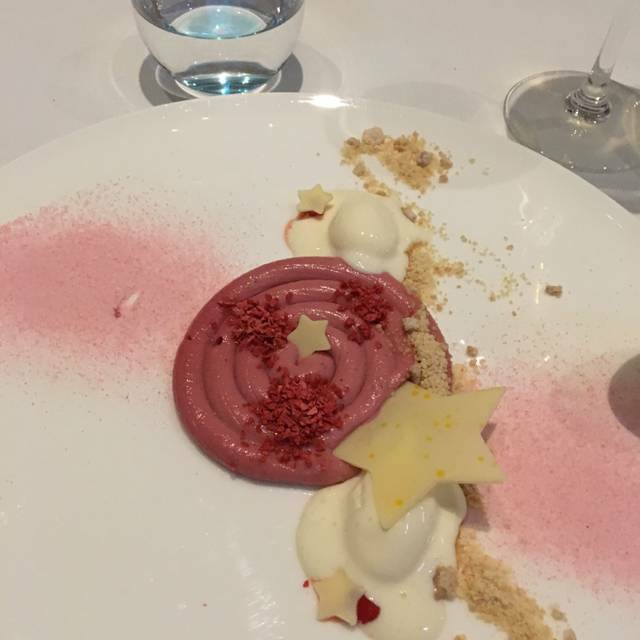 In the end: It all looks “pretty” and "luxury" but is inferior from other three-star Italian meals outside of Italy and it is rather expensive at that. I won’t return for a third visit. Service was exceptional but the food was a bit average for the price point. 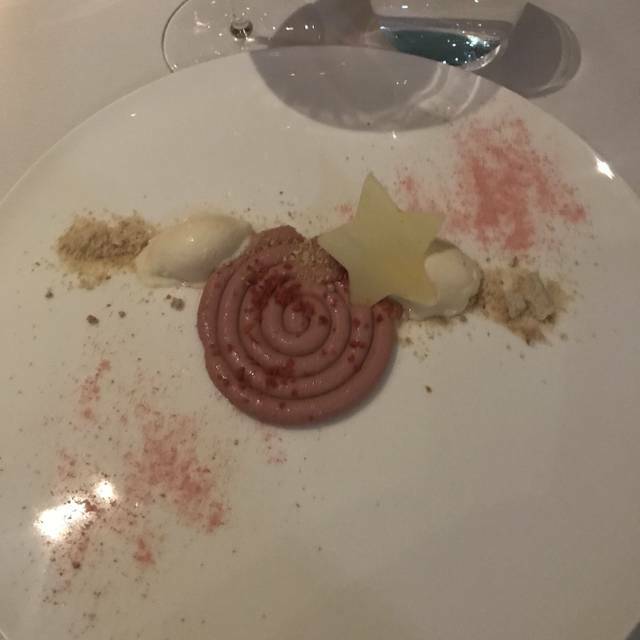 Presentation was beautiful but the taste didn't hit the mark for me. The waiter did not even offer the usual a la carte menu. The impression was that the à la carte menu was not at all. Only the menu with 10 and 6 dishes. The total score for 4 was 4,600 Dirhams, with tips 5000, it is about 1340 USD. The staff support a dinner that you will remember for a lot of time. Chef superlative. All food flowed naturally. The decomposed tirami su was unbelievable. Everything excellent. What else? Very excellent food, great service. We will for sure come back and we highly recommend this place. LOVE!!!! AMAZING FOOD. Great atmosphere and beautiful views from the patio. Food was very good although the menu wasn’t quite varied enough. Met the chef who was extremely good and happy to discuss our experience. The restaurant was magnificent. Starting from service, very polite and friendly staff, always ready to help. Absolutely great food, very creative, all elements compliment each other. Can not find anything bad. 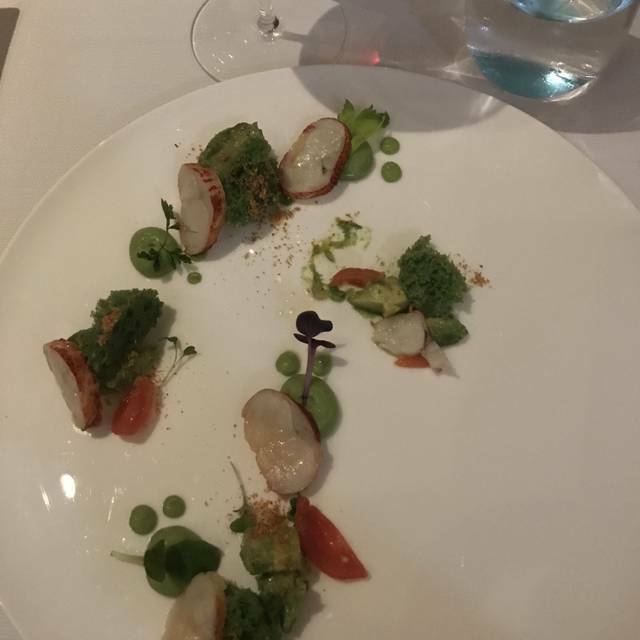 Absolutely fantastic, sublime food, beautifully presented and exquisite flavours. Undeniably expensive but in my opinion worth every penny. Do not leave without having the duck tortellini. The staff were so friendly, knowledgeable and professional. 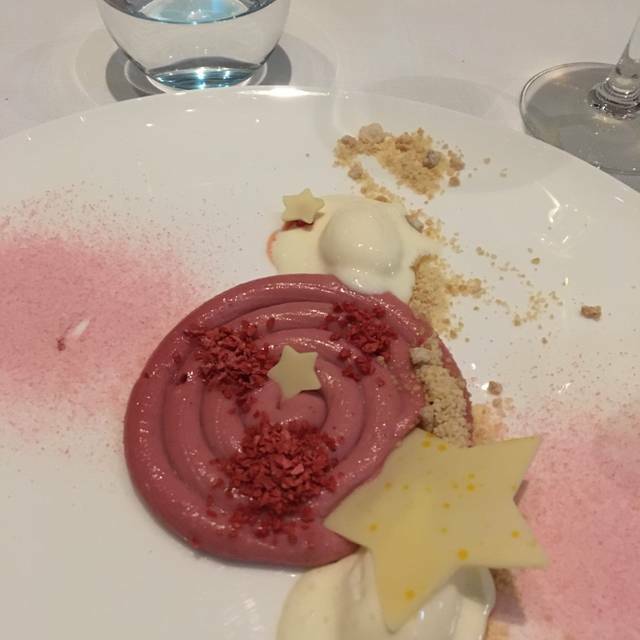 The birthday dessert was a gorgeous extra touch. It was totally worthy. Yes. It was bit expensive but I had so much great meal with 5 courses and wine also. I strongly recommend this restaurant to others. Excellent food and service. Faultless. Up there with the best michelin star meals I have enjoyed to date. The woman at the door Iryna Simanko was the most unprofessional, rude and tactless person I have ever come across in Hospitality, anywhere in the world. She is bad for business...in fact she has the potential to ruin any business and should not be in Hospitality. Thankfully, on the inside, the staff were so amazing...service, etiquette, attentiveness, you name it....they more than made up for what started out to be one of the worst evenings. The food was awesome...cannot complain about a thing!!! The food and service inside the restaurant really saved the day for us. We would certainly be back....just hope this woman has her day off on the day we decide to dine next at Social by Heinz Beck! Thanks to all of you who made our evening, one to remember!! I’ve said this time and time again in every forum and to anyone that will listen, in 7 years of living in Dubai and trying every new restaurant that opens its doors, the team at Social by Heinz Beck are the best in the Middle East. This is perhaps my 8th visit to the restaurant and every single one has been outstanding. Amazing dining experience. The food and the attention were wonderful. We really appreciated that the Chef came out to meet us. It was truly the best meal we have ever had. A true culinary adventure! We had one of the finest dining experience in terms of the delicious food, fabulously courteous service and extremely wonderful ambiance. The restaurant was extremely reasonable for such high standards and would definitely be visiting again soon. My special thanks to the entire staff and the Chef for being so polite and courteous. Thanks. Relaxed feel with great food and fabulous service. 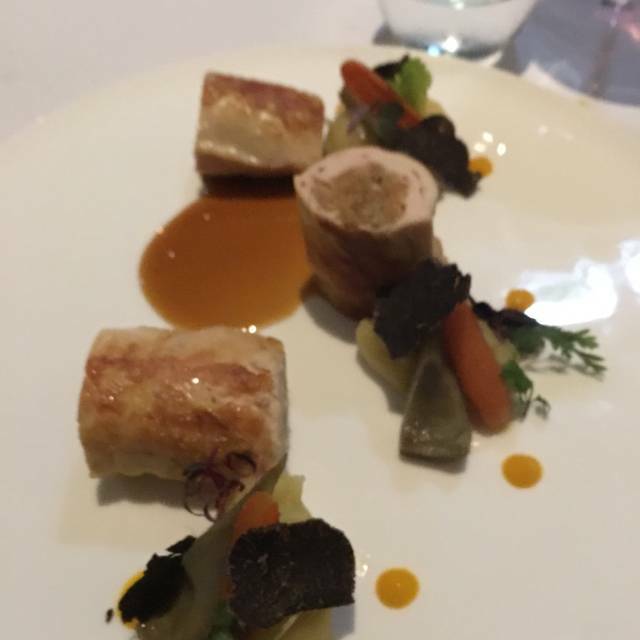 We tried the 5 course tasting menu with wine pairing. It wasn’t cheap but it was an amazing experience and would definitely recommend it. Was a last minute spot for date night; just a very pleasant place to be. Service a little clumbsy but lots of little highlights in addition to the food ordered. I think total GBP was just under £200 (we did share a salad starter) seemed about the right price for the location on the Palm, the restaurant quality, service and food. Would definitely go back. One of the less “flashy” places in Dubai where you can have a bit of peace. The opposite of cantina if you know it. This place is phenomenal, the food was outstanding, the staff were incredibly welcoming and friendly. Such an amazing night with my girlfriends, with an awesome deal for ladies night. Really solid Italian food in good ambience, with top service. You can see here and there the 3 michelin star heritage, but bottom line, dunno what the fuss is about. 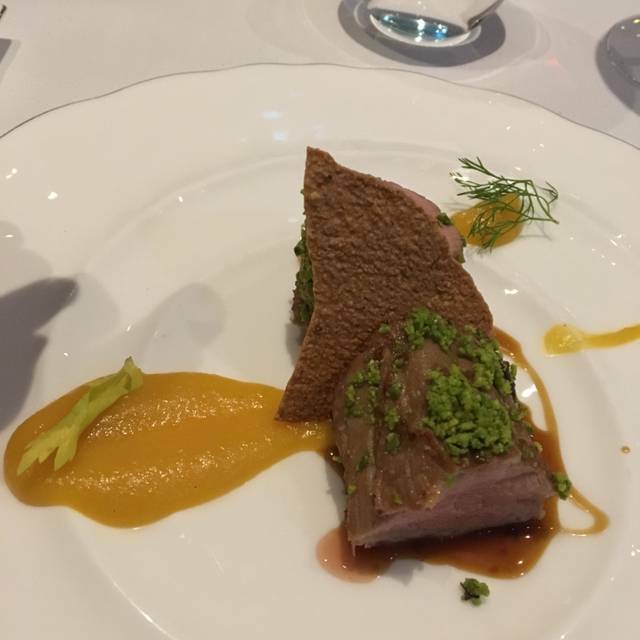 Only the duck dish was exceptional, the rest was nice. The veal was actually very bland. Know many better Italian places around the world. I was very pleased with the food and with the Service. The timing was right and the flow of a 3 hour dinner was perfect. We did not feel that we are sitting there for such a long time. I will very soon come back with my close friends. The staff was very good, accommodating, and had impressive coordination with deliveries to our table. The Maitre D was omnipresent and everything ran like clockwork. And the chef visited the table at the end of the evening, which was a nice touch. The staff was without question the highlight of the experience and the main reason I would consider recommending this restaurant. Location is somewhat difficult to get to, out on palm island, but I believe worth it if in the area or looking to see the island. As for the food, it was mixed. First, the dishes they bring out in the beginning are amazing. Unique, full of flavor, and great presentation. This had us very excited for the entrees. 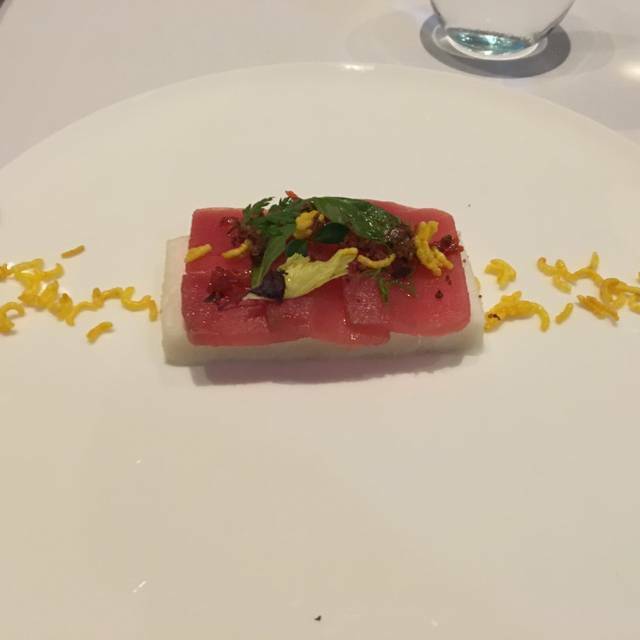 One friend got the sea bass and the preparation, presentation, and taste of this were immaculate, leaving us all wishing we ordered the same. Another friend and I each ordered pasta dishes without asking the appropriate questions and noticed right away that the pasta was not made there fresh. We were then told that only the stuffed pasta dishes were made fresh and the other pasta was shipped in from a distributor. While I understand I can take some fault in not asking this before placing my order, I also don't feel it's unreasonable to expect a $50 spaghetti dish to be made from fresh pasta. Overall, the ambiance, staff, and the seafood dishes were very nice, though I'm unable to recommend this restaurant based on the fact that if nice, contemporary restaurants in LA serve fresh pasta for all dishes, I would find it reasonable for a high-end restaurant in Dubai to do the same, especially at a higher price point. We travel extensively and frequent top restaurants and "Social" is right up there as one of the best we have ever been to. Fabulous food, presentation, pace, atmosphere and service all coming together to provide us with a very memorial dining experience. We were celebrating our mum's 70th birthday and had the most wonderful evening . Food was absolutely fantastic as were surroundings . Staff were so attentive and polite...would definitely return ! The staff there is amazing. We even got to meet the chef, Francisco (sp?). I would definitely take my wife there, again. I think it's an ideal place for a special occasion. We had the pleasure to have dinner there during our holiday in Dubai (it was the 27th of December). In our opinion, Social actually is the best Italian restaurant in Dubai. It's an amazing dining experience throught Italian traditional plates, which are revisited in an unique combination of tastes. The maitre has accompanied us during the whole dinner and he has chosen a long selection of wines. He kindly explained us plates and tastes! At the end, the 2nd Chef meet us for a long discussion of their work. Without any doubt, it has been the best dining experience of our lives! I can only recommend Social to everyone who’s visiting Dubai. The setting is perfect for a romantic dinner, the food is great, the wines with the tasting menu are extraordinary and the service level is beyond perfect - my fiancee had her birthday when we were there and the nice surprises received from the restaurant were really appreciated, everyone made sure we had an evening to remember! We had the 7 course menu with wine. Outstanding food a service, a genuinely special meal and occasion. Fantastic experience - the food was incredible and great service with really knowledgeable staff. Absolutely loved it! So far the best restaurant in Dubai! I fully recommend dining there.